Integrity: How to live with integrity, honesty and realiability. Living life with integrity is my topic today. “No amount of ability is of the slightest avail without honour.” – Andrew Carnegie. Personal integrity is an inborn moral conviction to do what is right, and reject that which is wrong, regardless of the consequences that are attached to their decisions. Integrity comes in many forms, but the most important traits that are expected are dependability, honesty, loyalty and good judgement. That you can admit mistakes and not be afraid to show you care. Internal integrity – This is your integrity at the deepest level. Is your integrity just for show because it looks good, or do you truly live your life with integrity in mind? Internal integrity is about being able to do the right thing, even if no one is looking and even if you will receive absolutely no credit for doing so. Doing the right thing, even though it may be the harder option, even when no one else is looking, will really be a huge step towards ensuring that you live with integrity. External integrity – This is what you portray to those around you. You have high external integrity when your actions are consistent with your thoughts and what you are saying. If you are saying one thing, but your actions say something else – you have some more work to do! Image integrity – Similar to external integrity – this is the image of your integrity. Whilst you might outwardly be displaying the right actions and taking the right path, can these actions be thought of in any other way? Are you leaving your image open to interpretation? People have great imaginations. When we don’t understand something, we are very quick to make assumptions and form beliefs about why something is occurring. Looking after your image integrity is about ensuring that none of your actions or words can be misconstrued. “The supreme quality for leadership is unquestionable integrity. Without it, no real success is possible, whether it is on a section gang, a football field, in an army, or in the office.” – Dwight D Eisenhower. 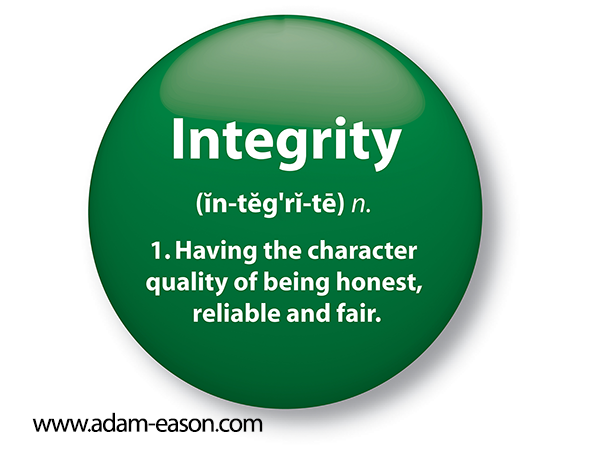 Primarily, integrity in our everyday life is so important that these traits leave a impact on our society. One where there is good communication, good understanding of each and a strong moral compass guiding all actions. Whereas, irresponsible behaviour and distrust can make the environment uncomfortable and tense. If you are known for your integrity, you will gain trust and respect from the people around you. The studies from Dr. Gottman’s research show that integrity is the true source of deep love, adventure, and even self-confidence. In today’s changing and highly competitive world living ethically and with integrity is just as important as it ever was. Integrity is not just important on a personal level, it is also vitally important at a professional level. In a survey of over 100,000 people, researcher Jim Kouzes and Barry Posner found that the most valued leadership quality is by far honesty (89%). Behaving with integrity has so many benefits especially in professional life, it improves trust and develops long term relationships. Lets be realistic, living with integrity is not easy, the reality in life is that we are faced constantly with the “integrity” question, that is why it is so important that we are consistent in our approach. For example, is it acceptable be less than honest on a specific matter under certain circumstances? There are no clear answers and personal governance can only cover the eventuality. As a result, no matter what choice we make, we can convince ourselves that it was made with integrity. Whatever kind of person you are, in whatever kind if situation or circumstance, the opportunities for ethical misconduct will find you and attempt to lure you. At the very least, you will be asked to remain purse-lipped and silent as you witness soft forms of (even seemingly) crooked behaviour around you. 1. Take Responsibility For Your Actions. “Don’t worry so much about your self-esteem. Worry more about your character. Integrity is its own reward.” – Laura Schlessinger. Integrity is all about having a high level of honesty. When you take responsibility for your actions, you know that you are an honest person. It’s not always easy to take responsibility for things that happen, but it is the right thing to do. People with integrity choose to do the right thing, even when it’s hard. 2. Put Others’ Needs Above Your Own. “The main rule to me is to honor God with your life. To life a life of integrity. Not be selfish. You know, help others. But that’s really the essence of the Christian faith.”- Joel Osteen. In a world that is so focused on individualism, it can be rare to find someone who focuses on what’s good for the collective community. People who put the needs of others above their own needs or desires show true integrity. Of course, they don’t do this simply to get praise and recognition. Someone with true integrity is only interested in doing the right thing. I’m a fan of individuality, regular readers here will know that. I am also a big fan that you must take care of yourself first in order to be able to effectively serve others. What I am writing about here is putting others before oneself when it comes to doing the right thing and aiming to live with integrity. Not necessarily putting others’ need before our own if it is likely to diminish our ability to do the right thing thereafter. 3. Offer To Help Others In Need. “Be Impeccable With Your Word. Speak with integrity. Say only what you mean. Avoid using the word to speak against yourself or to gossip about others. Use the power of your word in the direction of truth and love.” – Don Miguel Ruiz. Whether it’s working with others to build a house, or build a business, or helping out at the local food bank, help those in need. Volunteer work is a great place to meet people who have integrity. This is because people with true integrity have no qualms offering their time to help people in need. They want to help those who are less fortunate than themselves. What is more, they do so happily. Helping others in need can be done in a great many ways, not just in physical deeds, but by giving time, being present, paying attention, listening to someone, giving love, sharing experiences and much more besides. 4. Give Others The Benefit Of The Doubt. “Every person has a different view of another person’s image. That’s all perception. The character of a man, the integrity, that’s who you are.” – Steve Alford. Don’t jump to conclusions fast. Give others the chance to explain themselves, and move forward considering those other points of view. You must know that things aren’t always as they seem and that each person has a unique point of view that deserves to be heard. As such, you should give the benefit of the doubt instead of doubting. Have faith instead of being overly cynical – it is good for the soul to be this way. 5. Choose Honesty In All Things. “We learned about honesty and integrity – that the truth matters… that you don’t take shortcuts or play by your own set of rules… and success doesn’t count unless you earn it fair and square.” – Michelle Obama. Little white lies can be tempting, but someone with true integrity doesn’t give in to this particular impulse. Integrity means being honest, and someone with true integrity will live this quality every day. You can always trust these kinds of people to give you their honest opinion, and it will be a point of view that you can value. 6. Show Respect To Everyone. “The high road is always respected. Honesty and integrity are always rewarded.”- Scott Hamilton. Respect is often considered something that must be earned, to earn that you must show respect to everyone you meet. You must know that everyone deserves respect and deserves to be treated like a human being. People with true integrity will never be caught being rude to waiters or customer service workers. “Real integrity is doing the right thing, knowing that nobody’s going to know whether you did it or not.” – Oprah Winfrey. You must be proud of your accomplishments, but at the same time be humble. You need to know the difference between confidence and arrogance. A person with true integrity will know their strengths as well as their shortcomings. They recognise their strong points, yet they’re always striving to better themselves in some way. 8. Be Able To Admit It When You’re Wrong. “With integrity, you have nothing to fear, since you have nothing to hide. With integrity, you will do the right thing, so you will have no guilt.” – Zig Ziglar. Nobody likes to admit they have been wrong. It isn’t fun, and it can be a humbling experience. But a person with true integrity has no problem admitting when they’re wrong, or when they made a mistake. Always be the first to stop, admit your mistakes, and apologise if need be. We learn from such mistakes and strive to be better as a result. “Live so that when your children think of fairness, caring, and integrity, they think of you.” – H. Jackson Brown, Jr.
A person with true integrity will always show up to an obligation. When they say you can count on them for something, you know they will keep their word. Integrity is all about being the best person you can be, and reliability is part of that. People with true integrity will never flake on you if they can help it. You can confidently rely on them. “Goodness is about character – integrity, honesty, kindness, generosity, moral courage, and the like. More than anything else, it is about how we treat other people.” – Dennis Prager. Be kind. Don’t say something that you don’t really mean. Don’t be the preson who says something nice to someone’s face and something cruel behind their back. A person with true integrity knows that there is strength in being unrelentingly kind. At times, you may reach a point where you are asked to do something that doesn’t go in accordance with your personal code of conduct. This may present a challenging decision for you, but if you have strong integrity and values, you will either refuse to do it or reflect deeply and find a solution that ensures your integrity is not sacrificed. Having the courage to say no is an important skill to learn. Your integrity is your most trusted friend as it keeps you on the right path. Make it your goal to be a person of integrity always no matter how many temptations or challenges you face. Likewise, if you’d like to learn more about self-hypnosis, understand the evidence based principles of it from a scientific perspective and learn how to apply it to many areas of your life while having fun and in a safe environment and have the opportunity to test everything you learn, then come and join me for my one day seminar which does all that and more, have a read here: The Science of Self-Hypnosis Seminar. 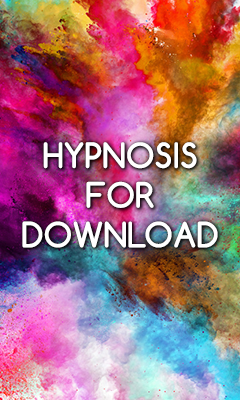 Alternatively, go grab a copy of my Science of self-hypnosis book, it’ll help you live with integrity! I’m not familiar with Don Coughlin’s work so this may be unfair (#4 from your list of tips). We are never able to control the opinions of others. And if other’s interpretations of our behaviour and choices is ever a consideration integrity is compromised, as I see it. Either it’s the right thing to do or it isn’t. If I determine a certain course of action has integrity, for me, than what others think or how others interpret what I do cannot a consideration. It’s only when I care more about my image than my integrity that I hesitate, flounder, and act outside my own principles and values. We wouldn’t want to waffle on the integrity of a bridge, neither should we waffle on our own integrity. Integrity means ‘whole and undivided.’ Basing one’s integrity on who happens to be watching isn’t it. Hopefully not too rant-like. I write these, at times, to clarify my own thinking. Coughlin agrees with what you state here Korey. He refers to those types of integrity to refer to them and illustrate them – that is, external and image integrity occur (and he highlights them) but he does not believe they are as good or as thorough as integral inner integrity. He suggests that we sometimes believe we are behaving with integrity when we are actually doing the external or image form and this is not really what we are actively after. You have supported his position well here. Thank you for your considered response.